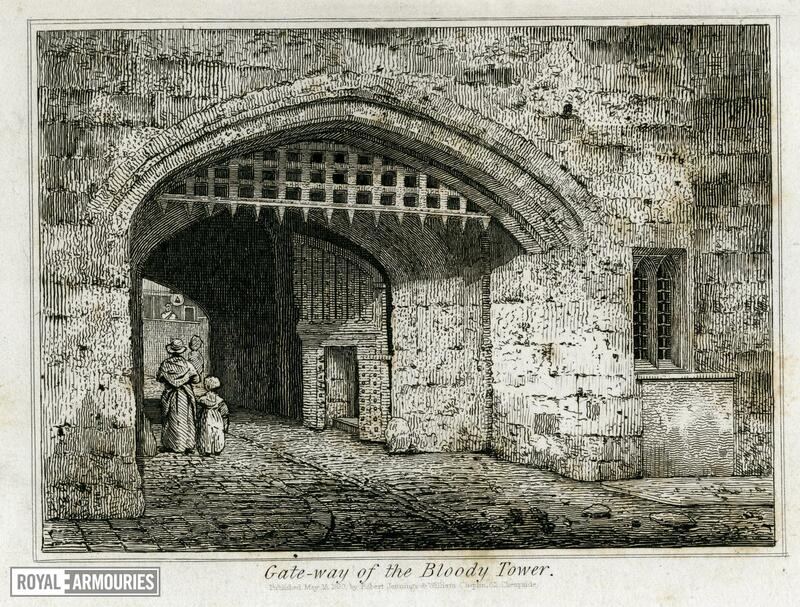 Engraving showing The Bloody tower from the south, with three figures passing under it. Published May 15 1830 by Robert Jennings & William Chaplin, 62 Cheapside.' Plate 9 of the 2nd (8vo.) 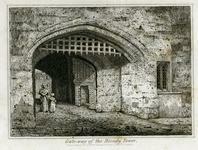 edition of J. Bayley, 'The History and Antiquities of the Tower of London' (London, 1830).